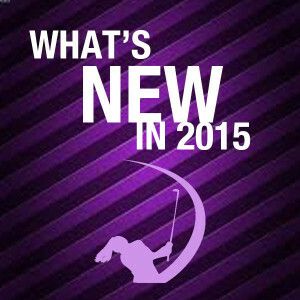 Home/"Talking Girls' Golf"/TGG: What’s New in PKBGT for 2015? What’s New in PKBGT for 2015? As 2015 begins, we are excited for our 9th season of the PKB Girls’ Golf Tour. Over the next four weeks, I will be providing a tour primer, outlining what’s new on the tour, answer some frequently asked questions and alert you to some items to be sure not to miss. If you have any questions or comments, please do not hesitate to contact me at 336-347-8537 or mparker@pkbgt.org. 1/11 – PKBGT Series & Choosing which is right for me? As the tour membership continues to grow, we look for more ways to meet the needs of all our players. In particular, creating more opportunities for high school age players to have more access to tournaments at collegiate yardages and creating positive initial tournament experiences for those new to tournament golf. To accomplish these goals, we also must be mindful of what is working currently and make sure to continue these positives going forward. For 2015, the tour is divided into 4 principle “Series” that allow junior girls’ golfers to compete in a yardage and competition level appropriate for their developmental needs. By separating into these 4 Series, players will be able to maximize the competition and exposure they can receive in each. Next week’s article will go in depth on these Series and which options are right for you. The PKBGT Performance Index is the official ranking system of the PKBGT. All players who participate on the tour earn a ranking on the Index. The Index ranks each player based on scores, finish in events and tournaments won. Players scoring is ranked based on scoring differential, the players score each round subtracted by the course rating for that course. Scoring differential is a more accurate judge of player scoring than scoring average as it factors in the difficulty of the course and setup. The Index also factors in a weighted points earned which examines how many players a player beats in each event and the series they are participating in. Players also receive a bonus for event victories. For 2015, the Performance Index will be used for standing for all events that use “Priority Based Entry”. Players with an official Index ranking (those who have completed 5 PKBGT rounds in the last 12 months) are eligible. Those players who have not yet completed five PKBGT rounds will be granted a provisional ranking which shows where the player would be ranked if they had played the required five rounds. The Index is updated following each event and ranks the last 12 months for each player on the PKBGT. With over 340 current and past members committed to and/or playing in the collegiate ranks, we have found that many struggle to find positive playing opportunities in the summer months to stay sharp and compete. This summer, the PKBGT will offer five 2-day events between Memorial Day Weekend at Country Club of Salisbury and ending at Pine Needles Lodge & GC in early August. Additional courses include Lonnie Poole GC at NC State University, the Champions Course at Bryan Park and a TBA event near the coast in North Carolina in July. Players register by themselves or with a partner, with each event featuring gift certificate prizes for the low-team and individual medalist. 2-player teams will compete in a best ball format, with the low score recorded between the two players for each hole making the team score. Registration for the PKBGT Collegiate Series will begin February 1st. By replicating the successful model that has built the PKBGT from scratch, we aim to increase opportunity and participation in junior girls’ golf. Many initiatives exist to attract new players at a young age to the game, but few focus on sustaining the game by keeping these players interested and engaged. Our belief is this is only possible with fun, appropriate competitions that allow the player to play the game on the course, enjoy it and make friends, fostering a commitment to the sport that will keep the player practicing and engaged. Learn more about the campaign at http://letsplay.pkbgt.org. Check back next week for an in-depth look on the different events offered and how to choose the right competition for your child. Mike Parker is a Co-Founder and Tour Director of the PKBGT. Mike has been directing junior golf tournaments for the last 11 years including local, regional and national events. To contact Mike, please call 336-347-8537 or email mparker@pkbgt.org.